“Touring is the roughest part,” Elvis Presley said in a 1957 Vancouver, Canada, press conference about his career, “because you’re in a town and you do a show, you come off, you ride in a car, you’re gone to the next town.” Elvis certainly knew the routine. From 1954-1957, he had performed on stage hundreds of times in venues ranging from high school gyms to the country’s biggest auditoriums and stadiums. Despite the grind, he still enjoyed the experience. “I think every performer likes to work to a live audience,” he responded when asked about the favorite part of his multi-faceted career. The foundation of Presley’s loyal fan base through the years was his willingness to take his act to the people. It started in 1954 when he worked nearly 50 dates, many of them in hometown Memphis nightclubs. Later in the year he began playing some Texas and Arkansas venues, and even ranged as far as Shreveport to appear on the Louisiana Hayride radio program. In 1955 it seemed as if Elvis, Scotty, and Bill were on the road continually. Nearly 200 dates took the Blue Moon Boys all over the South and as far away as New Mexico, Ohio, Indiana, and all around the Gulf Coast. Then came Presley’s breakout year of 1956. At times he was forced to take to the air, as national TV appearances in New York and film work in Hollywood put demands on his time. Instead of cutting back on his furious schedule, however, Elvis kept taking his stage show to the people. That year he performed 143 concerts in 79 communities from coast to coast. In 1957 movie commitments caused Elvis to finally cut back on his personal appearances. 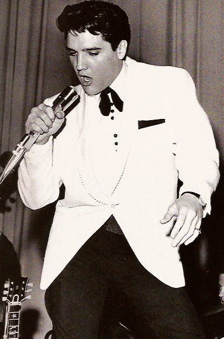 But while he gave just 28 concerts in 18 cities that year, Elvis still drew huge crowds while playing huge auditoriums and outdoor stadiums in 1957. To learn more about Elvis on stage, choose from among the links below. • Elvis in Detroit: Detroit was America’s most second most fortunate city for live Elvis Presley concerts. • Elvis Concert Reviewers: Few reviewers were inspired by Elvis on stage in the '70s. 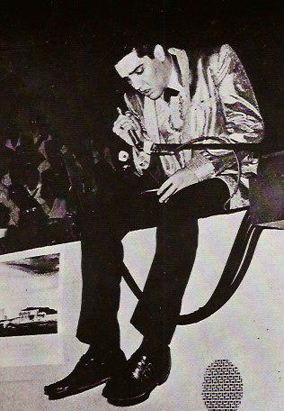 • Elvis 1969 Anniversary: 2009 marked 40 years since Elvis’s return to Las Vegas in 1969. • On Stage in February 1970: The overlooked Las Vegas shows. 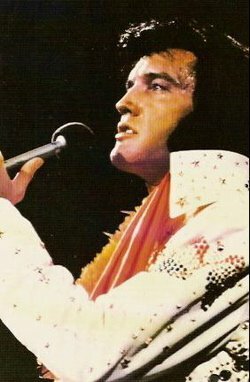 • On Stage in August 1970: The "Elvis: That The Way It Is" shows. 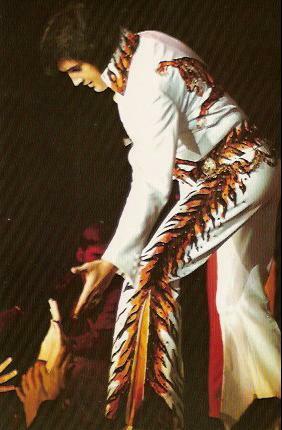 • Elvis's First Tour in 1970: It was a different Elvis who went back on the road in September 1970. 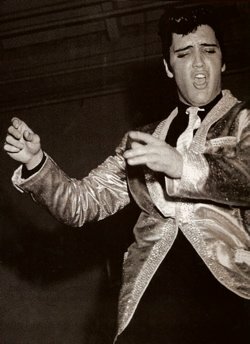 • Elvis in Portland, Oregon: Comparing Elvis's 1957 and 1970 shows in Portland. • Elvis in Seattle: Two Seattle newspaper reviewers saw Elvis 1970 Seattle show differently. 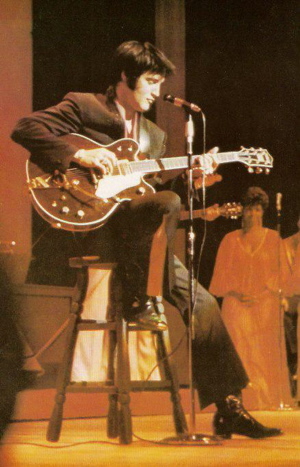 • Elvis in Los Angeles: In 1970 Elvis played his "Comeback Concert" in L.A.
• Elvis in Las Vegas: Variety reported the ups and downs of his Vegas shows from 1969-1976. 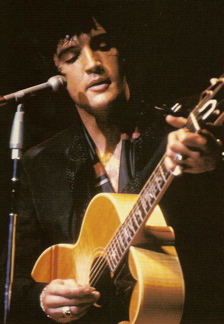 • Elvis in Lake Tahoe: Triumph and heartbreak at the Sahara Tahoe 1971-1976. • Elvis in Albuquerque: Contrasting Elvis's 1956 and 1972 shows in Albuquerque, New Mexico. • Elvis at Madison Square Garden: "He was like a prince from another planet." • Elvis in Baltimore: His disastrous performance on May 29, 1977, was heartbreaking for fans. • Elvis on Tour 1976-77: The clues to his deteriorating health were there. • Elvis in Cincinnati & Indianapolis: His last concerts in 1977 were spiritual experiences. • Elvis on Tour: By the Numbers: Elvis put up some impressive numbers during his touring years from 1954-1957 and 1969-1977.